Get a Sneak Peak at my Forthcoming Release. Wondering what’s taking so long? We are engaged in a law suit against the C.I.A. for dragging their feet in regards to their book approval process. 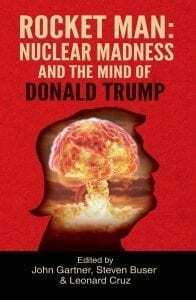 Get a copy today to read my chapter and the other twenty-three experts who contributed to this book, as we analyze President Trump’s behavior hoping to provide insights into what may be the most urgent question of our time. There is no more authoritative newspaper in the country, perhaps the world, than the New York Times. But when the Times gets it wrong, it is often a real doozy. In the 1930s, the Times’ man in Moscow, Walter Duranty, completely missed the Kremlin’s forced famine in the Ukraine that led to the death of six to seven million Ukrainians and Russians. Joseph Stalin’s KGB found Duranty to be a “useful idiot” in accepting Moscow’s denial of widespread famine and mass starvation. Incredibly, Duranty won a Pulitzer for his articles from the Soviet Union. In this interview with Steve Jackson, The Drive program KRSO, we focus on legal issues, namely mine, and why I am suing the state department. Listen to understand why I am suing. I have joined in a lawsuit with four former federal employees to end the government’s censorship of our writings on national security issues. The current publications review system of our military and intelligence agencies is dysfunctional, inhibiting our ability to participate in national security debates.